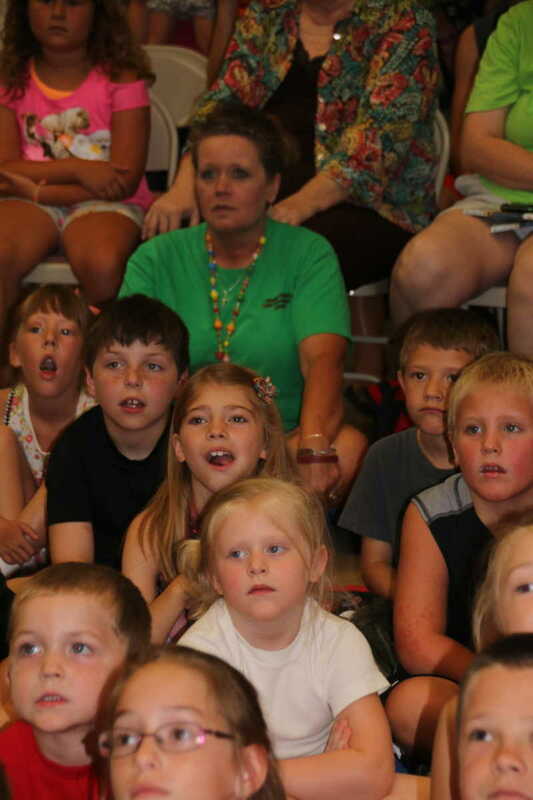 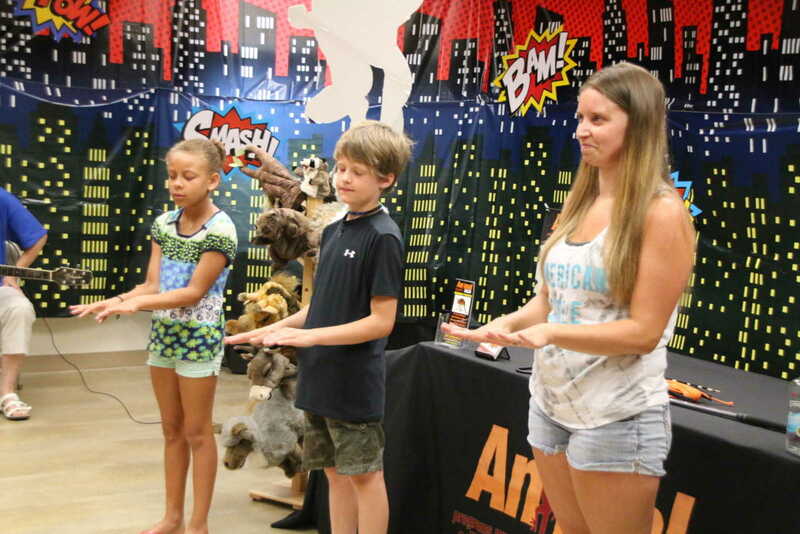 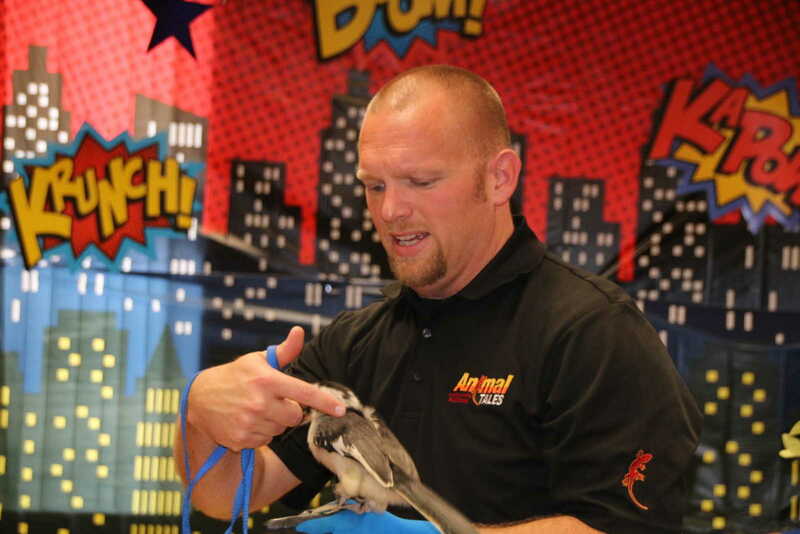 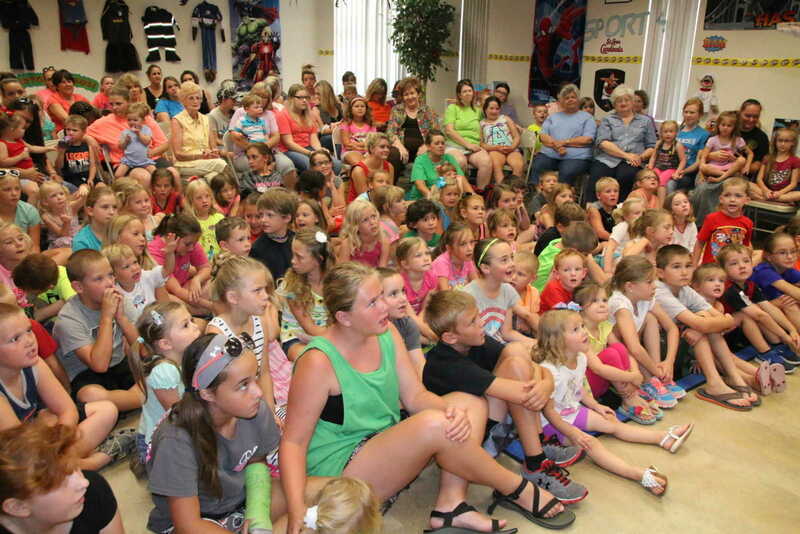 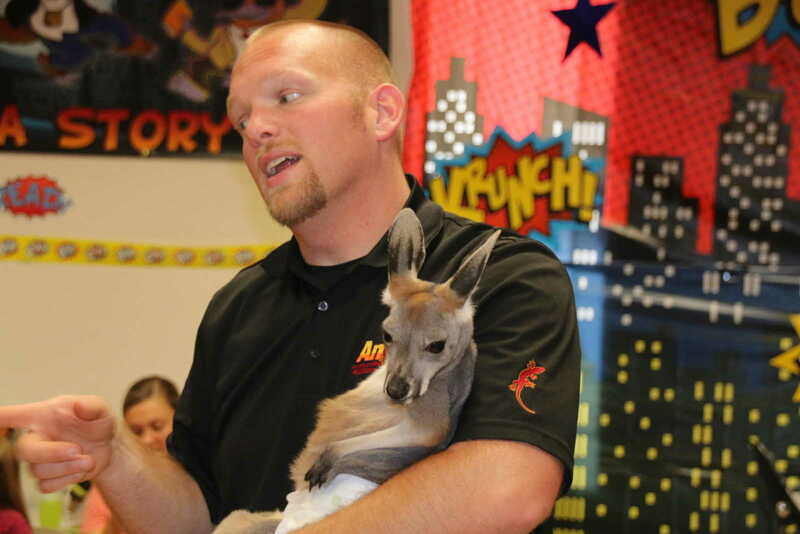 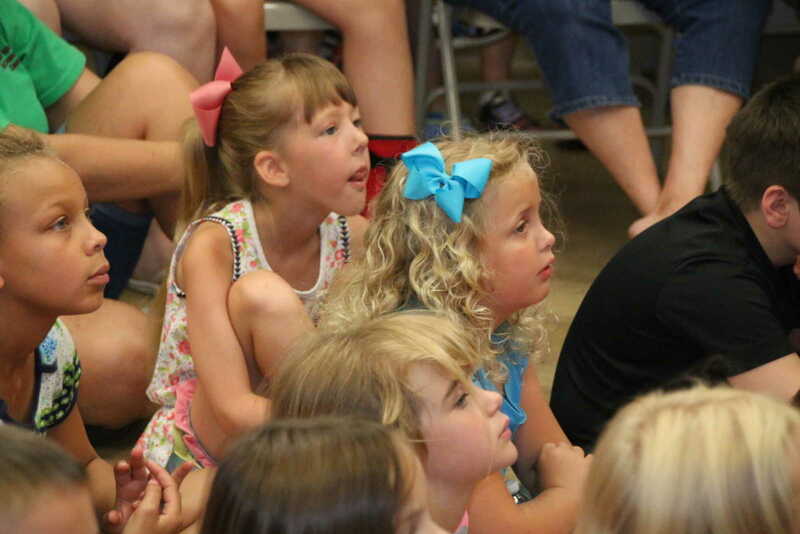 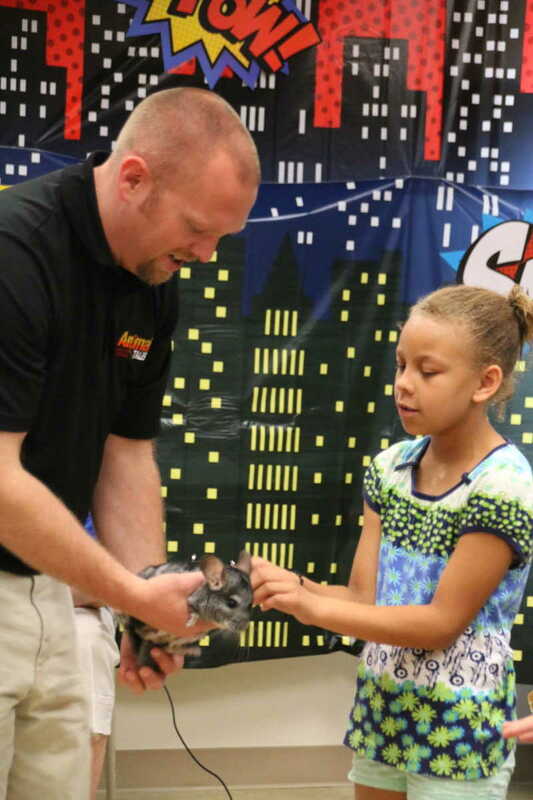 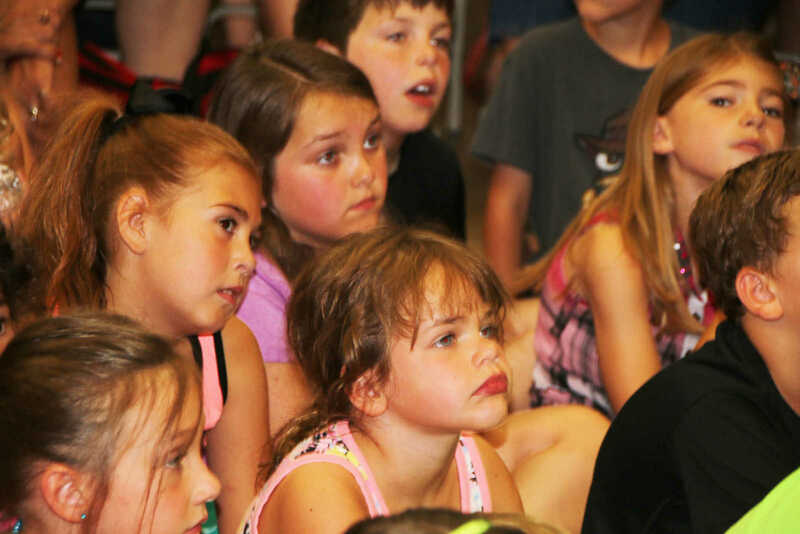 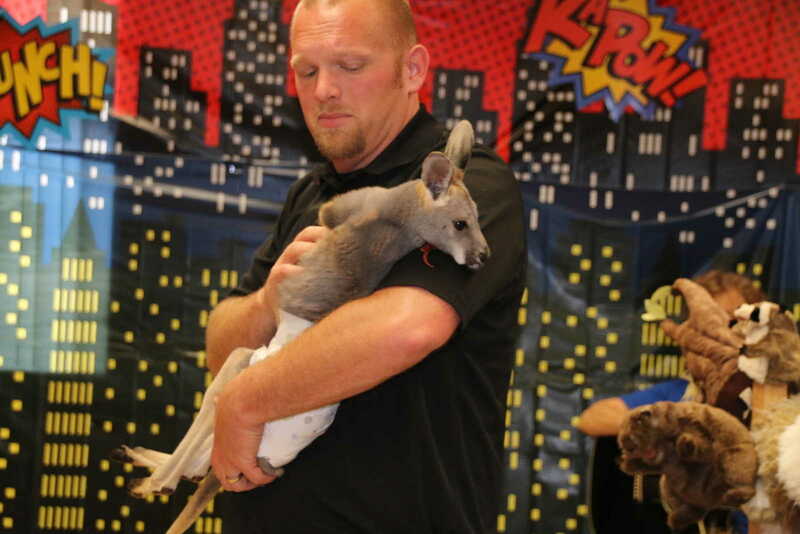 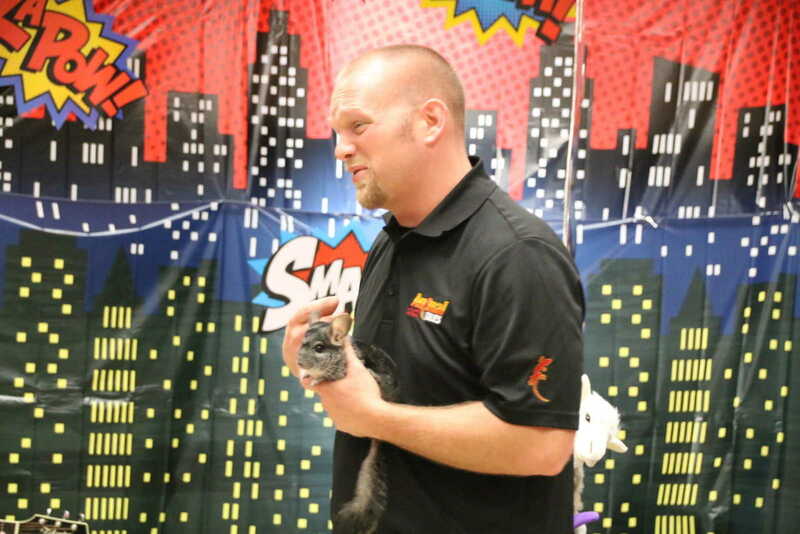 Animal Tales Wildlife Biologist Jonathan Hardison with Animal Tales out of Mayfield, Ky., visited Keller Public Library's Summer Series, "Every Hero has a Story" on Wednesday. 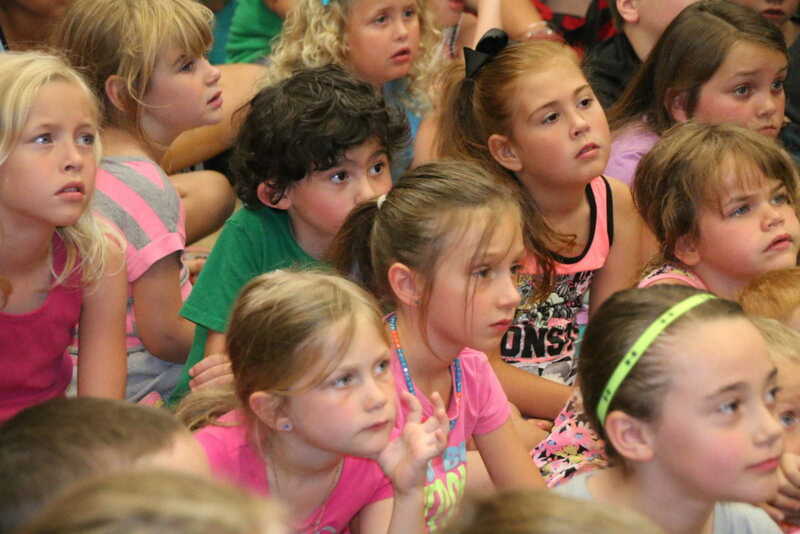 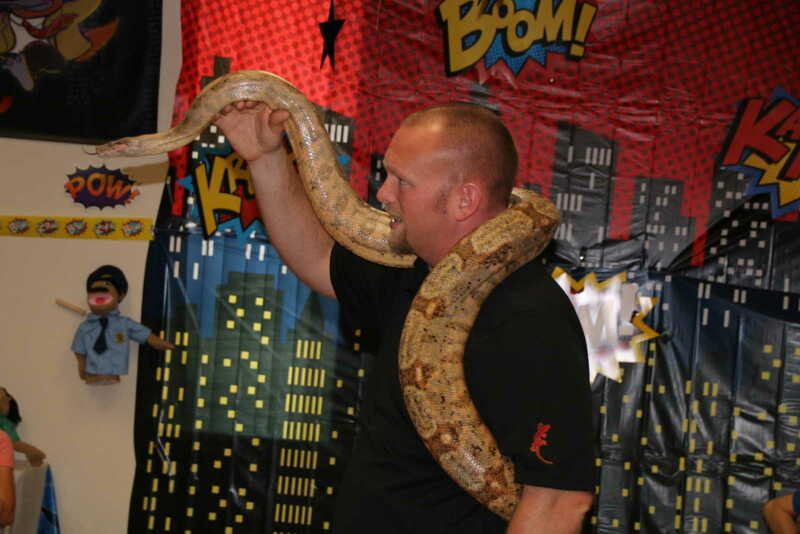 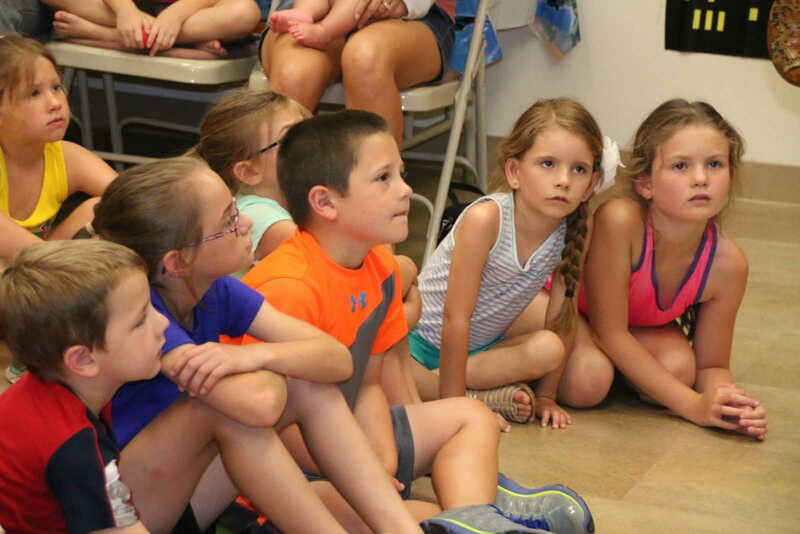 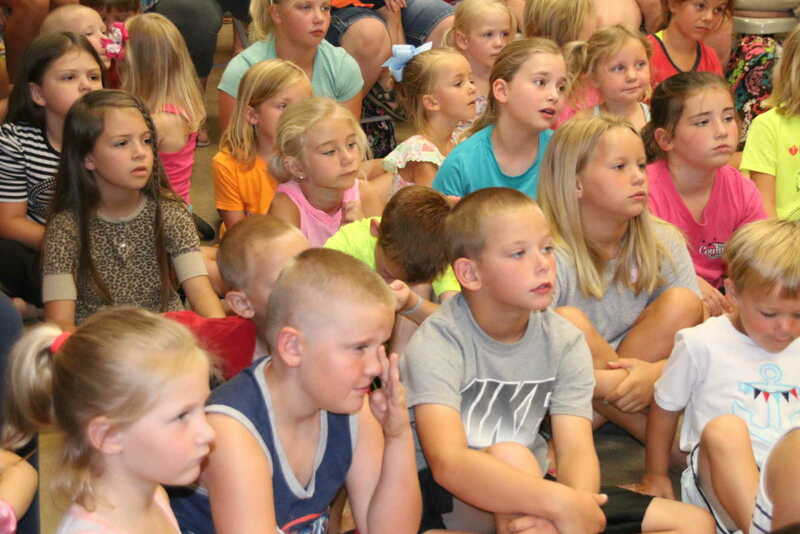 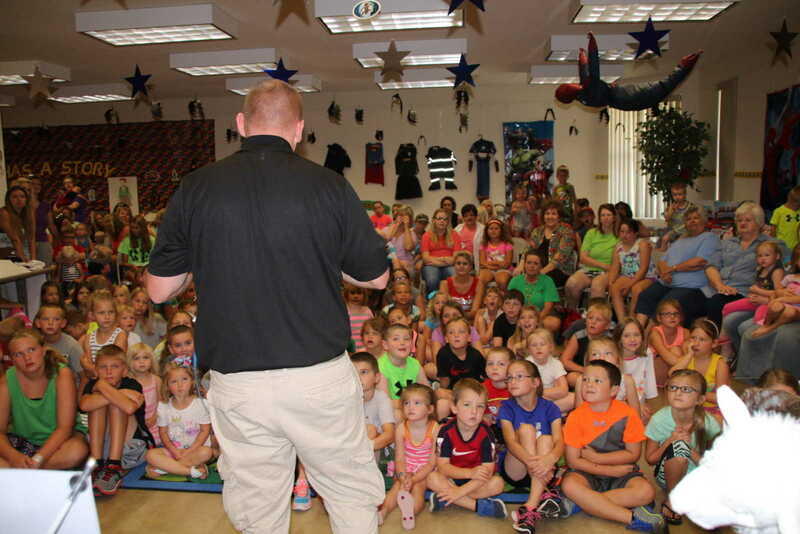 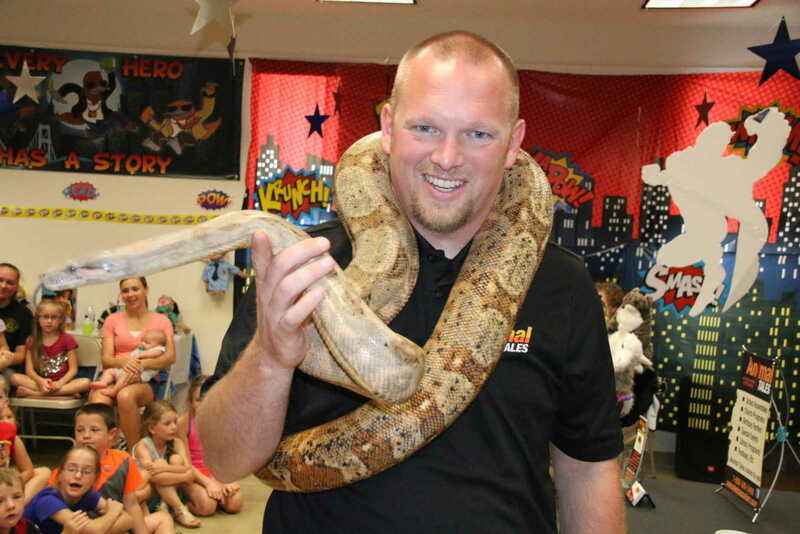 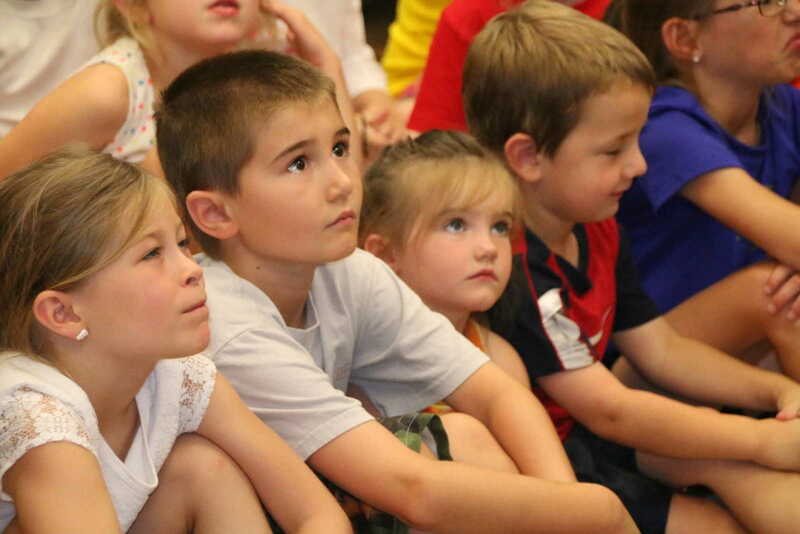 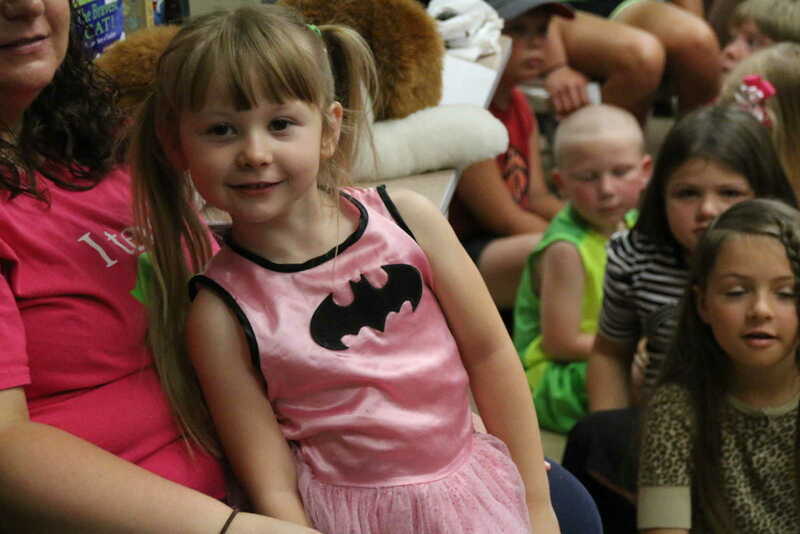 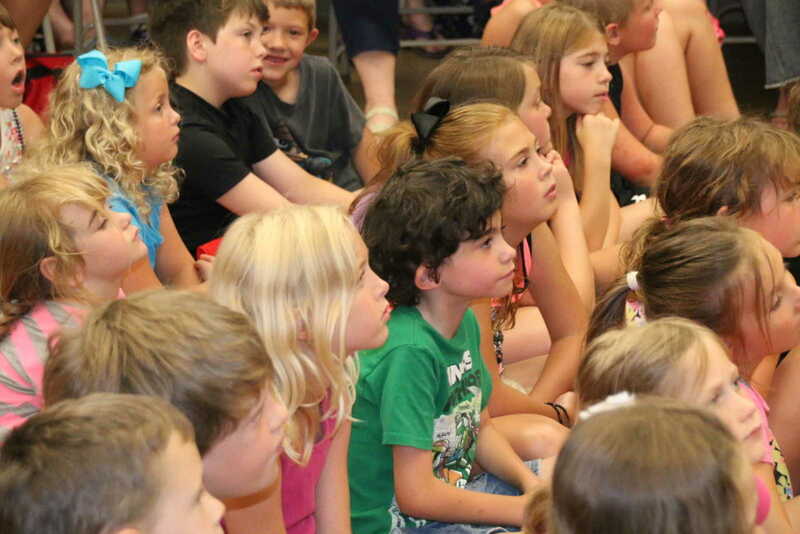 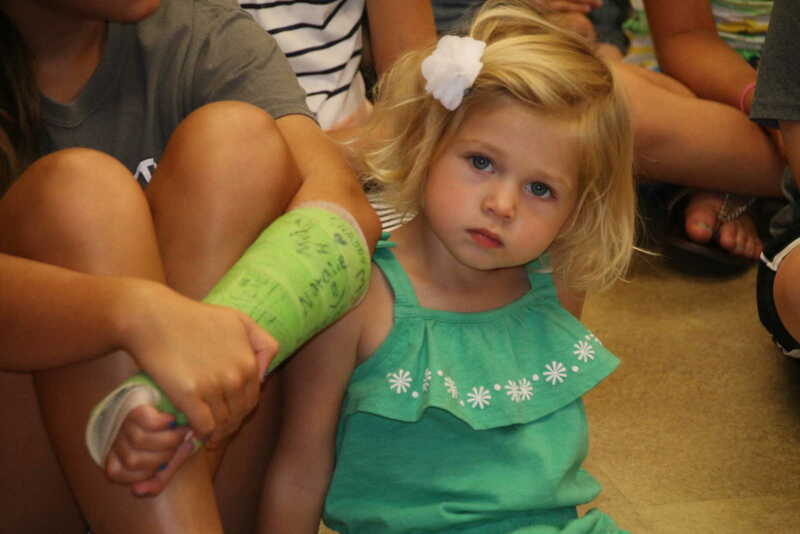 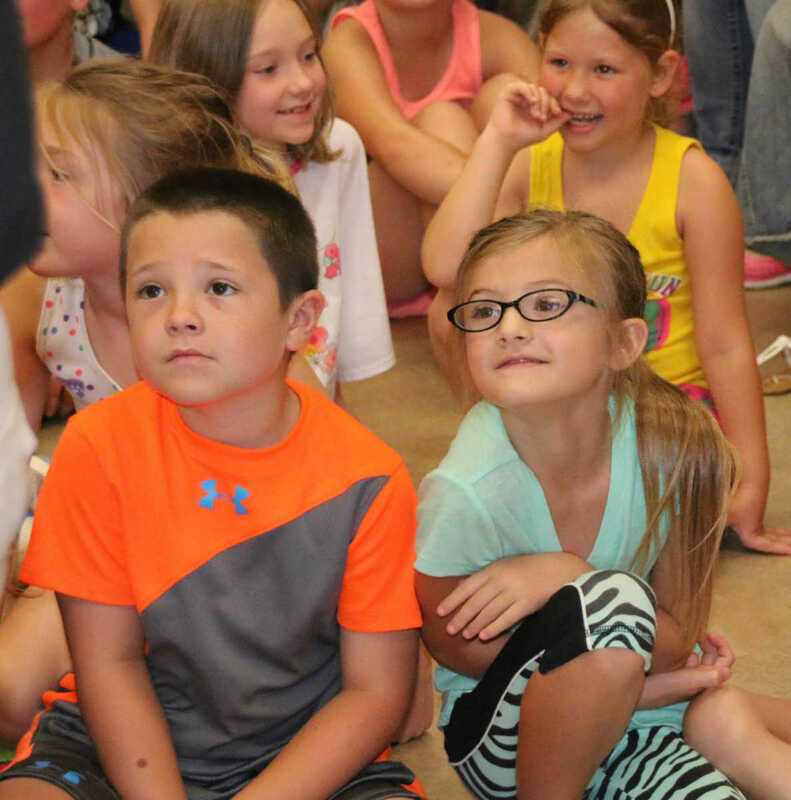 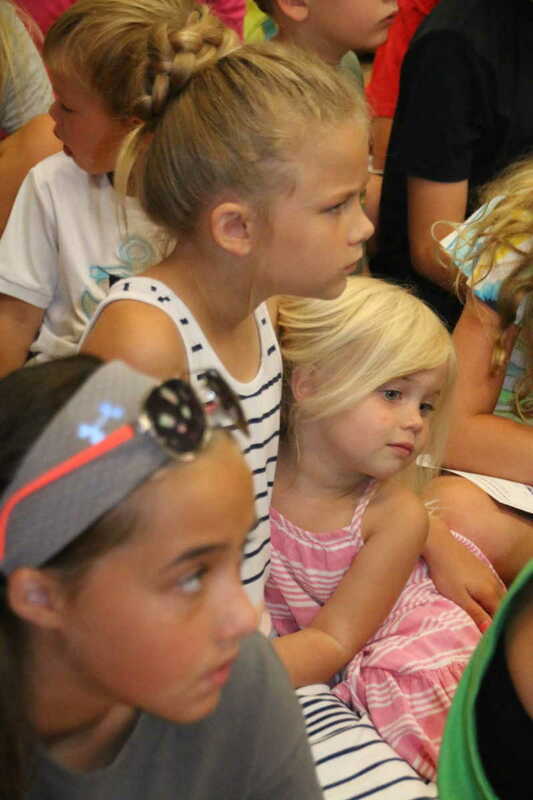 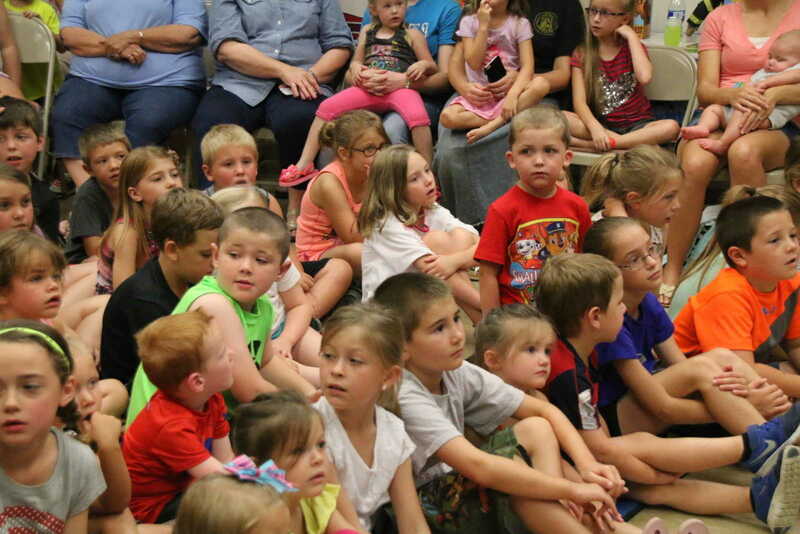 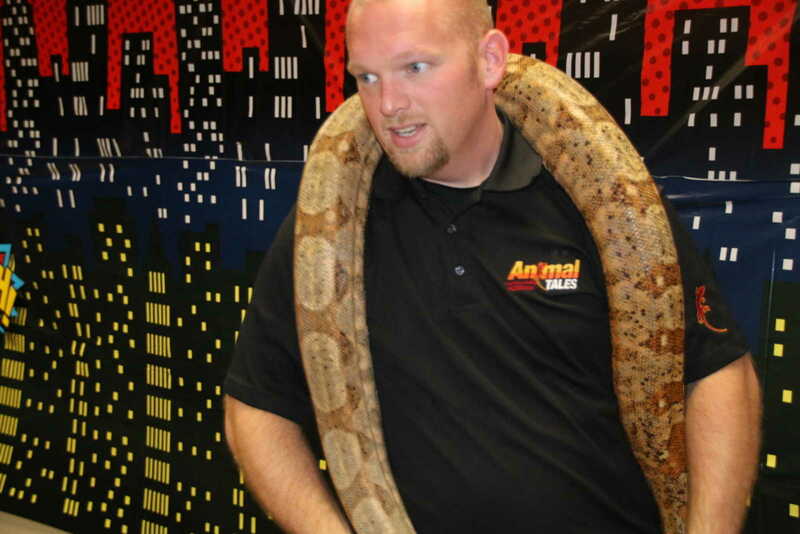 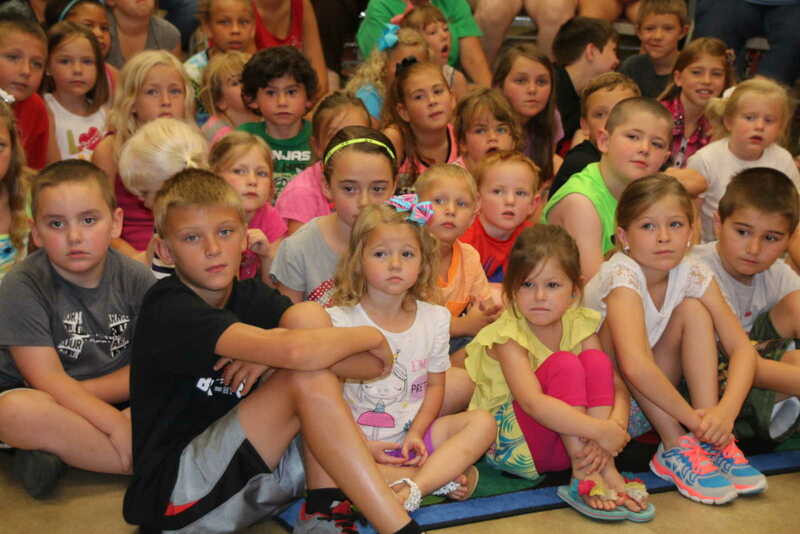 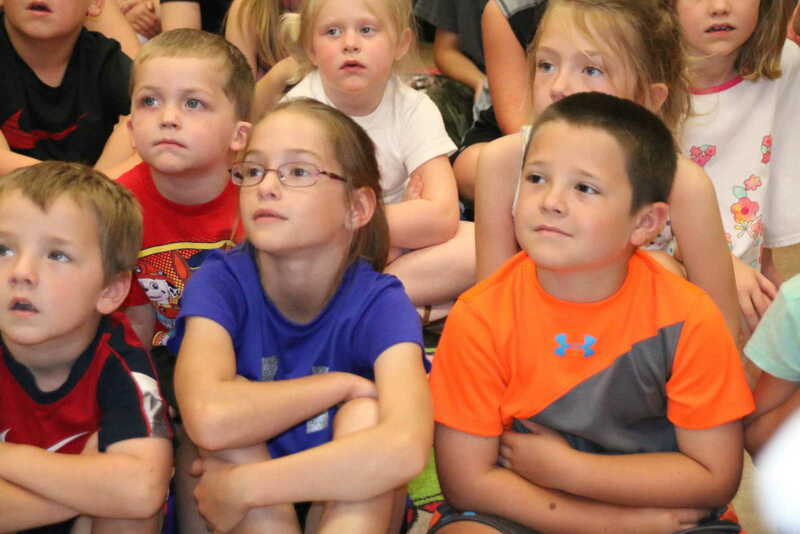 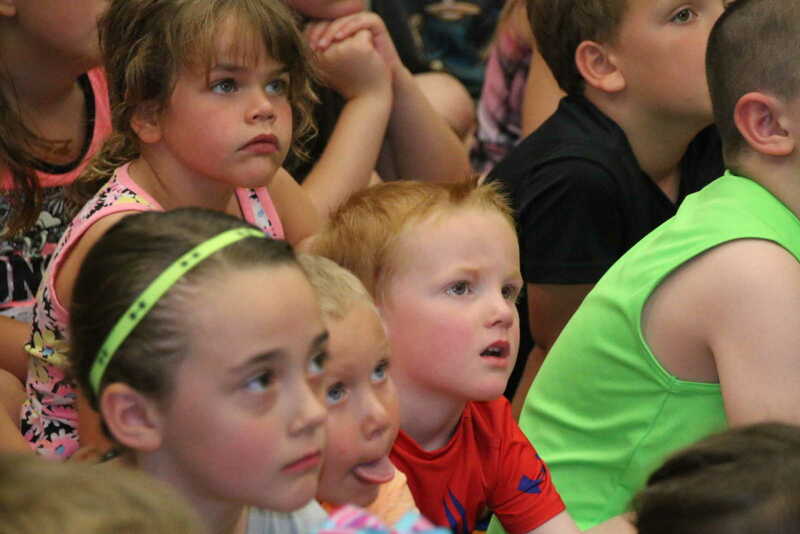 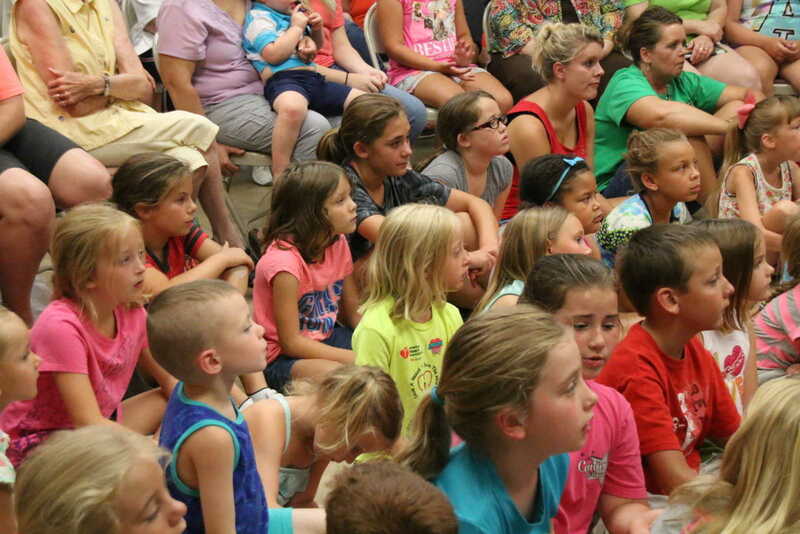 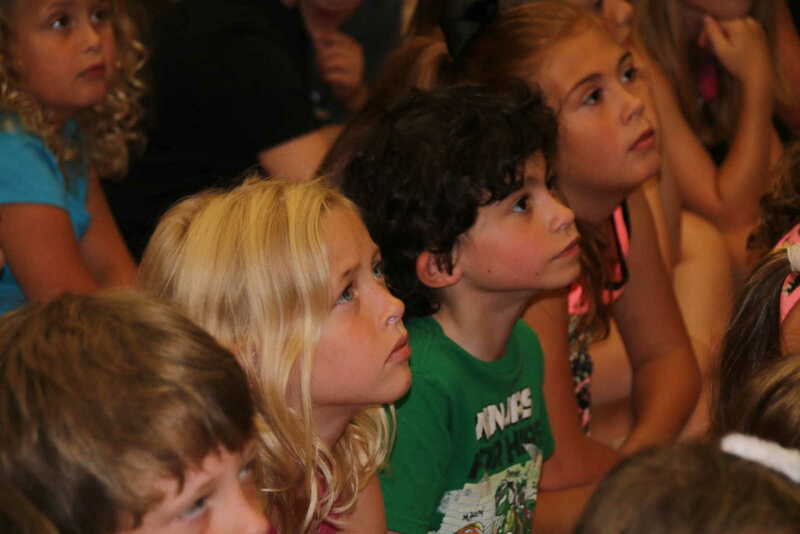 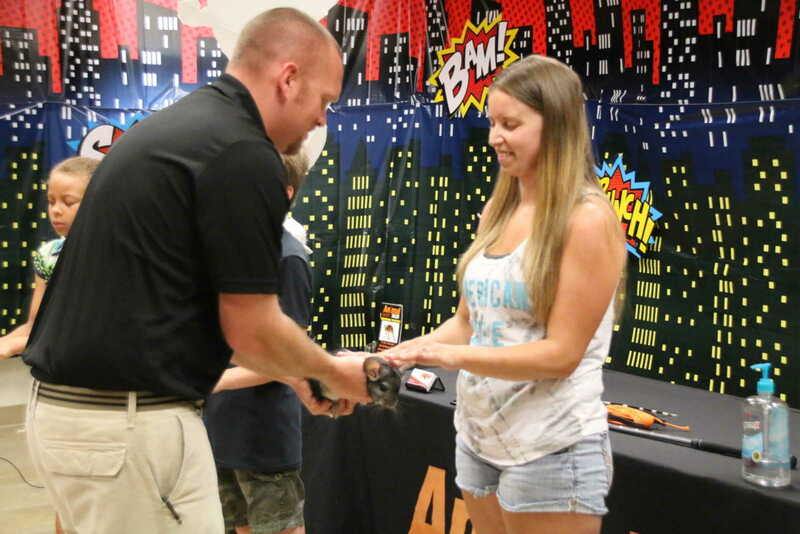 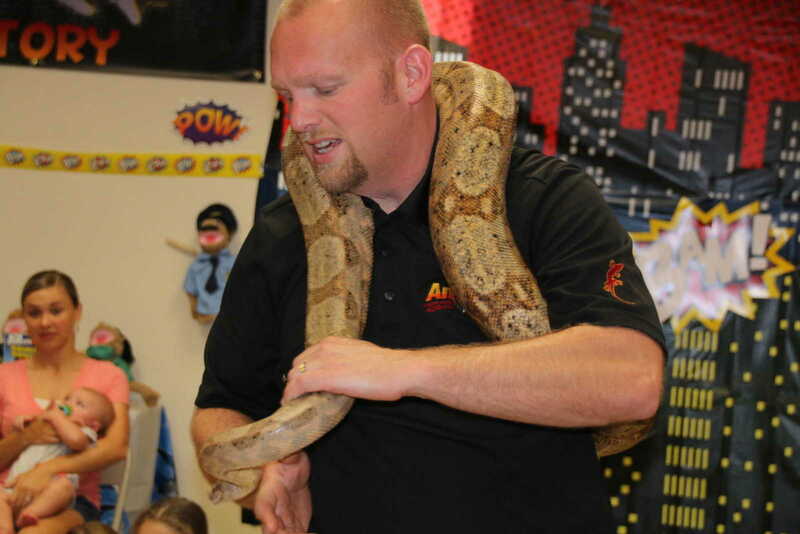 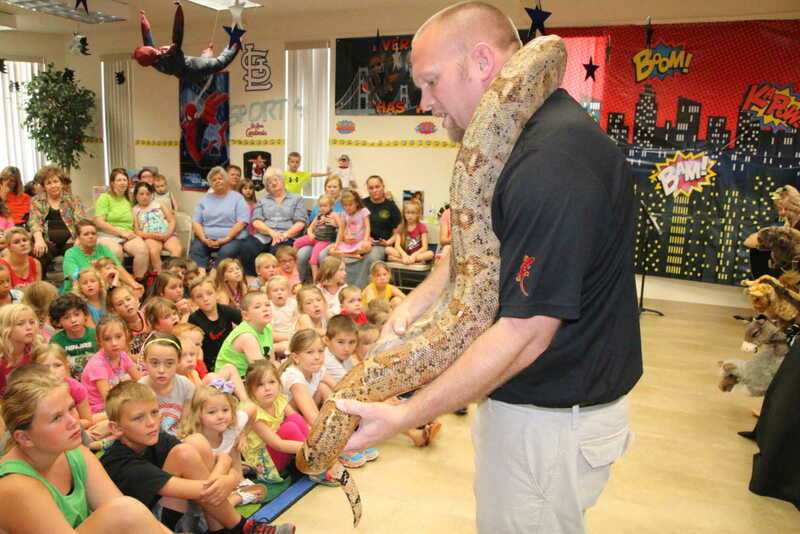 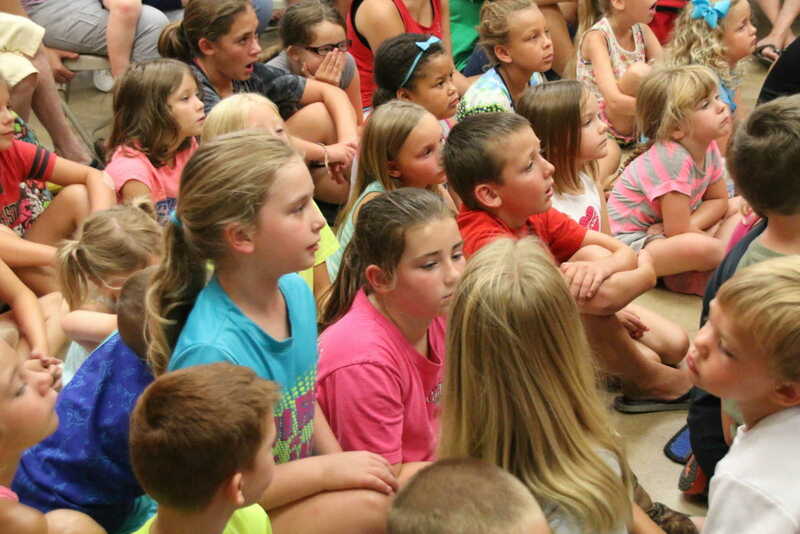 Hardison presented several animals, including the Hog Island Boa Constrictor above, and explained their habitats to a packed community room at the library. 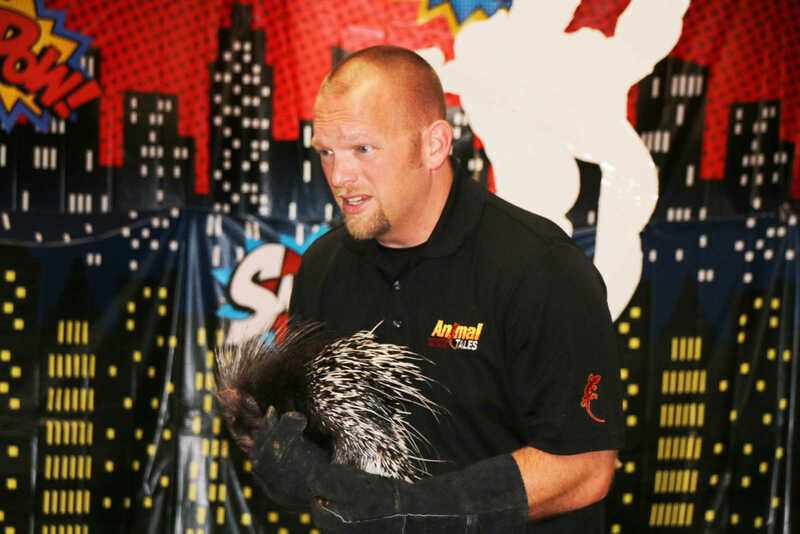 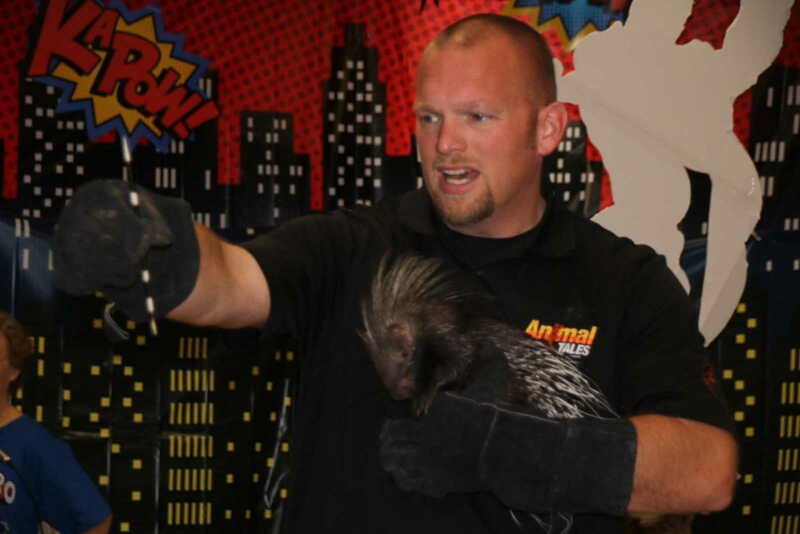 Other guests included an African Crested Porcupine, a feathered Von der Deckens Hornbill, a chinchilla, and a red kangaroo.